Bliss Bridal Boutique Bridal Shop | Cheshire | Hartford | New Haven | Wedding Dresses | Bridal Gowns | It’s Almost Here! 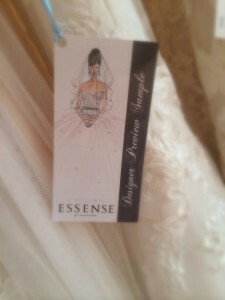 Our Essense of Australia Preview Event is THIS WEEKEND! May 15th, 16th and 17th! It’s your last chance to book appointments, call and schedule yours today!